According to the National Institute on Drug Abuse and Prevention, cigarette smoking is at historically low levels among teens. In 2009, 20.1 percent of 12th graders, 13.1 percent of 10th graders, and 6.5 percent of eighth graders said that they had smoked during the month prior to the survey. Almost immediately, smokers experience reduced lung growth, which is a risk for not developing proper lung function as an adult. Additionally, teens who smoke can expect to be more sickly and have more health-related problems throughout their lifetime, according to Tobacco Facts. Plus, smoking smells bad, makes your face wrinkle, gives you bad breath, stains your teeth and often gives you a cough called "a smoker's hack." According to the National Institute on Drug Abuse, tobacco harms every organ in the body. Teens who smoke put themselves at higher risk for developing lung cancer; 80 to 90 percentage of lung cancer deaths are directly related to smoking. Cigarettes are also linked to cancers of the mouth, pharynx, larynx, esophagus, stomach, pancreas, cervix and kidney. In addition, smoking puts teens at higher risk for developing severe lung problems such as pneumonia, emphysema, bronchitis and asthma. Each day 3,000 teenagers pick up their first cigarette, and although children under 18 are not legally allowed to buy cigarettes, on average smoking begins at 16, according to Tobacco Facts. Think of three friends who smoke, and consider this fact: one out of every three smokers will die of a smoking-related health problem if none quit. 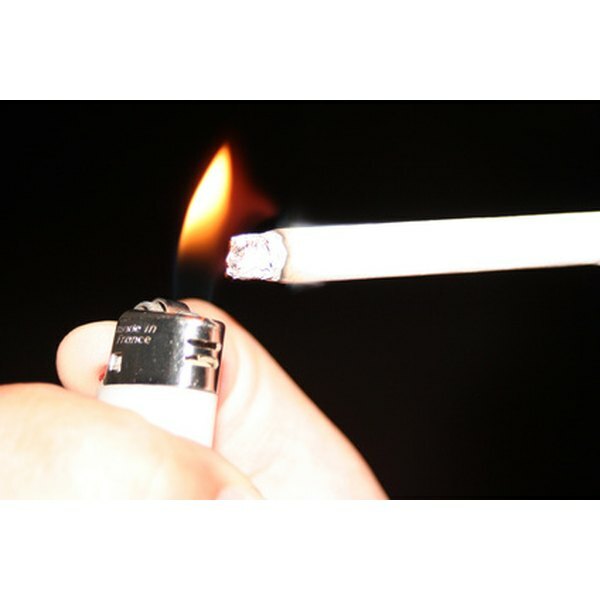 Additionally, the more years a person smokes, the higher the chances are of dying from it, reports Young Women's Health. The addictive substance in cigarettes is nicotine; however, nicotine is only one of more than 4,000 chemicals contained in each cigarette, reports the National Institute on Drug Abuse. These chemicals include many things we would never ordinarily consider putting in our bodies, such as tar, carbon monoxide, arsenic, ammonia, formaldehyde and hydrogen cyanide. The ingestion of tar is what causes lung cancer as well as bronchial diseases. Carbon monoxide—one cause of heart disease—puts smokers at a high risk for developing heart disease, according to the National Institute on Drug Abuse. Quitting smoking dramatically reduces chances of death from cancer, heart disease and other serious illnesses. Does Smoking Cigarettes Stunt Growth? What Effects Does Smoking Have on the Kidneys?